Where we stand, there will be PEACE. The Anbu Guild (暗部, English: Anbu Black Ops), short for Ansatsu Senjutsu Tokushu Butai (暗殺戦術特殊部隊, Literally meaning: Special Assassination and Tactical Squad), are covert operatives that order directly to their Kage. They are all kind and compassionate, sharing loves to all other god, goddess, heroes and heroines. They are here to protect the PEACE of GodVille! 2 How to join ANBU? We fight for LOVE, We fight for UNITY, We fight for FUTURE, We fight to Protect the PEACE of GodVille! We are hidden among you, so stop your war, drop down your weapon and start sharing love. If you are a loving and kind person, Come join us as ONE! First, your hero/heroine must be above 12 level. If your hero/heroine are in the midst of fighting monster, send a god voice message of "Abandon your quest" until the hero/heroine quest is cancelled. If the quest is completed/cancelled or the hero/heroine had just taken a new quest, send a god voice message of "Join the "ANBU" guild" until the hero/heroine accept a new quest. The quest name should be something like Become the ~ member of the guild "ANBU". We have the similar mission with Akatsuki which is to protect the PEACE of GodVille but instead of using violence, we share LOVE to each and everyone in GodVille. 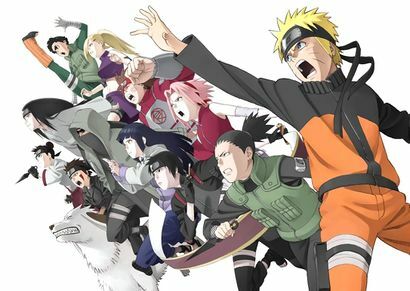 All the members in ANBU have to undergo 1-2 days of suffering training quest before they can join ANBU. A long long time ago, GodVille is founded for everyone in this world to be a gods or goddess, creating their own virtual heroes and heroines for them to take care of and also to allow them to make friends with others. After few weeks, chit-chat messaging system is introduce to allow the heroes and heroines to chat with others. With the messaging system, all the heroes and heroines in GodVille started to discuss and united together to push the Admins of GodVille to introduce the fighting system and also guild system. The Admins of GodVille have no choice but to roll-out with new monster for the heroes and heroines to fight and introduce the guild system to allow all the heroes and heroines to form and join their guild. With all this new systems, all the Gods and Goddess in GodVille starts to show off on how many monster that their heroes and heroines killed. All the Gods and Goddess started to argue on how good their guild are, and with this, the Admins introduced the pantheons ranking system for guild and also personal heroes and This is Just a Beginning. The introducing of ranking system causes all the heroes and heroins starts to compete among each others, until there was an outbreak whereby heroes fighting among each other. The outbreaks becomes bigger and bigger, causing many innocent lives of heroes and heroines are sacrificed. This war created the personality of heroes and heroines to become more evil and evil, and all of them just want to stand in the Top ranking, leaving the kind-hearted heroes and heroines behind. One of the God named Melviin, saw the situation and decided to stop this war and his heroin Mystiz takes the responsibility to complete his mission. Back then, Mystiz tried to recruit all the kind-hearted heroes and heroines with the same mission and form their own guild named ANBU. They are then, start to walk to every streets and towns in GodVille to promote LOVE and PEACE. They will kill whatever that stop them because they believe that the Good Always Win. By using 2 days and 1 sleepless night to walk all the towns of GodVille, the war stops and PEACE came in. ANBUs know that their mission to protect the PEACE of GodVille never stops, because there are some evil heroes and heroins still lurking in the dark to wait for opportunity to revenge. Most Anbu wear some kind of mask to conceal their identities. They predominantly wear animal-styled porcelain masks, with some opting for more menacing looking creatures. 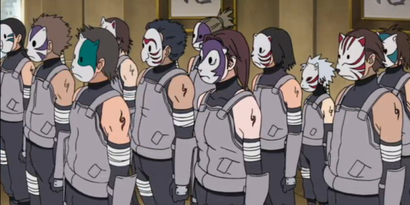 They also have standard uniforms which consist of black clothing, a grey flak jacket, metal arm guards and gloves and a ANBU logo on their shoulder. We have our own ranking system similar to shinobi, but due to the ranking system in GodVille is unable to change, we then categorize our ranking system in GodVille. Kage (影, Literally meaning: Shadow) is a title reserved for the leader of ANBU guild. A Kage oversees the activities of the guild, from starting a topic to chat to making the hard decisions regarding the PEACE of GodVille. 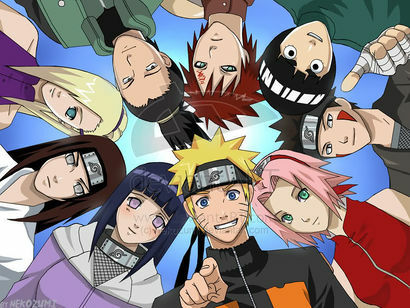 There are some rules to follow in ANBU and those who does not follow the rules will get EXPELLED from guild. Only one warning is given to members that fails to obey the rules. Do not take the game too serious. This is just a game, WHY SO SERIOUS? Please respect, be friend and provide help if necessary to everyone including other guilds. (We are here for PEACE). Please join ANBU's discussion, voting and Guild Chat if possible. (Of course we wont expel you for not talking =D). You are free to voice out anything including your problem in discussion or Guild chat. Please obey to Kage (Guild Leader)'s orders. The High-Level Rank shall stay with the name KAGE . Please DO NOT Change. Kage (Guild Leader) shall inform or having a two-third majority vote within members before any decision is done. Kage (Guild Leader) shall responsible and in-charge of any event happening. Kage (Guild Leader) shall take good care of Guild's image and making friends with other guilds. Keep the Guild Chat active and DO NOT insult, speak vulgar words or hurt anyone in the chat. Do Not ask for personal information or promote anything in the Guild Chat. You are free to discuss anything in Guild Chat except for any topic that are 18SX. This page was last edited on 27 October 2016, at 16:50.